It’s almost Halloween – Yipee!!!!! 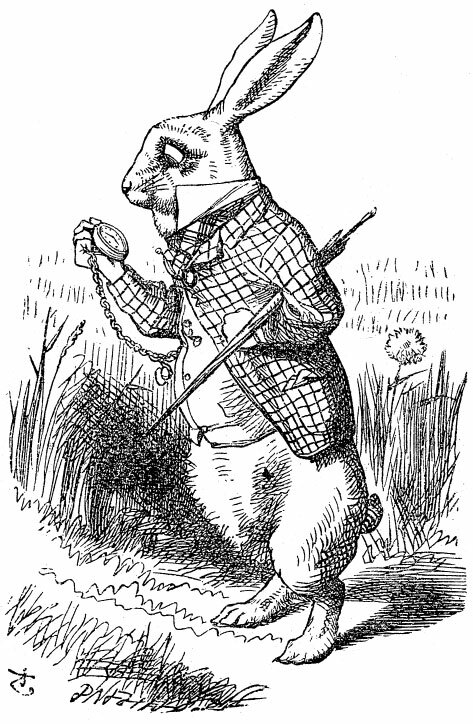 This year we are having a Steampunk Mad Hatter Tea Party in my front yard, complete with Hatter, Hare, tea, croquet, coffee for adults, and revolting amounts of candy for the kids. 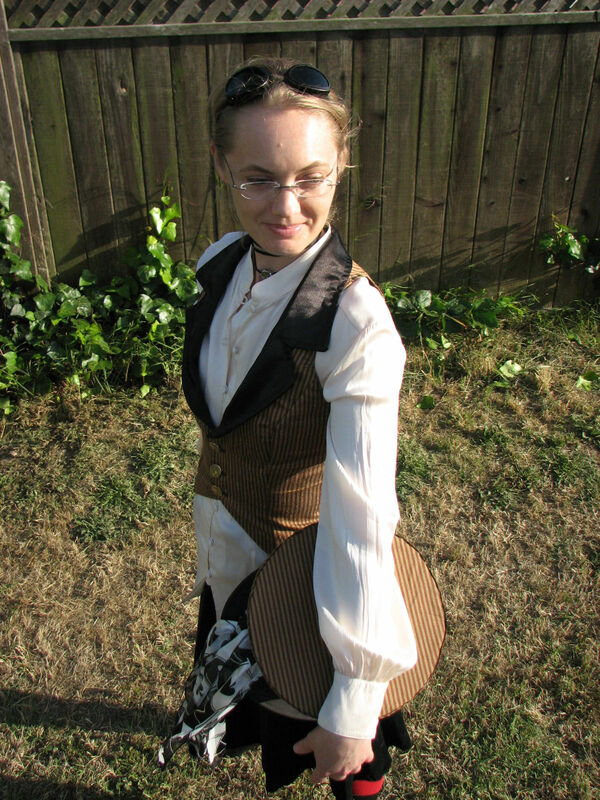 I decided to recycle the 2009 Steampunk costume I wore in New Orleans to be a sort of adult Alice, but the costume needed some adjustments/repairs. So far I’ve fixed my smooshed top hat and repaired the heel of my granny boots. Last time around I wore a bolero jacket that looks a lot like an Eton Jacket. I’ve had it for years and it fits me just fine when worn with a long sleeve shirt. Unfortunately I didn’t remember this when I made the sleeveless top for my costume and the jacket just feels too big without sleeves inside. I thought I was going to jerry-rig a fix by adding a collar, folding back part of the front and hiding it within the structure of said collar, but that ended up sounding like way too much effort with a not terribly satisfactory result. So a new jacket it is! “Dogs and Cats Living Together… Mass Hysteria!” My Favorite Holiday! You may be shocked to learn that Halloween is the Rogues’ favorite holiday. No fussing with presents, time spent at your family’s traditional religious establishment, no tree killing or egg coloring, just “fire and brimstone coming down from the skies! Rivers and seas boiling! Forty years of darkness! Earthquakes, volcanoes… The dead rising from the grave! Human sacrifice, dogs and cats living together… mass hysteria!” * And more people wearing costumes than you’ll find outside a Ren Faire or Living History town. I love it! So what are my Halloween preferences? 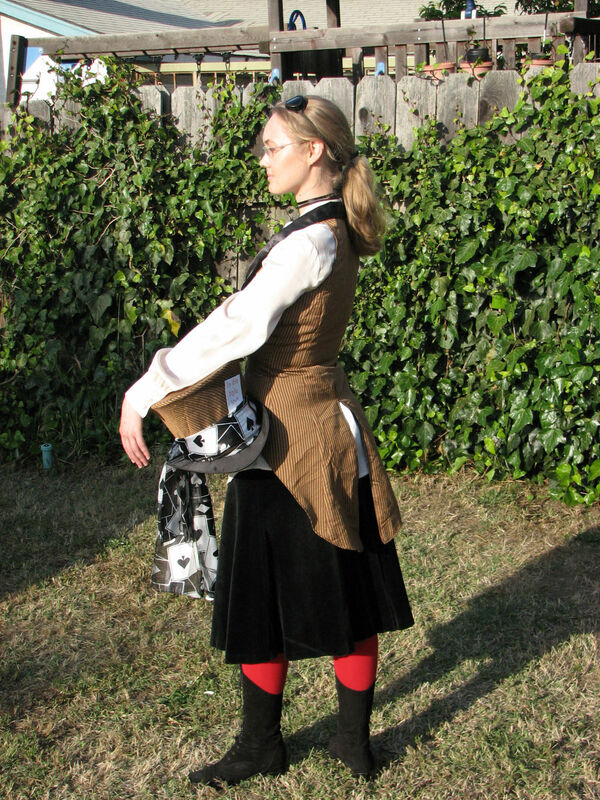 Personally, I find it wrong to wear my ren faire costume for Halloween. Many faire people do. The same for my medieval attire (though I’m not part of SCA – it just seems wrong, not enough like a costume). My love of all things pirate makes it less wrong display my pirate self, but then again, that’s just another part of me. I want a costume for Halloween! 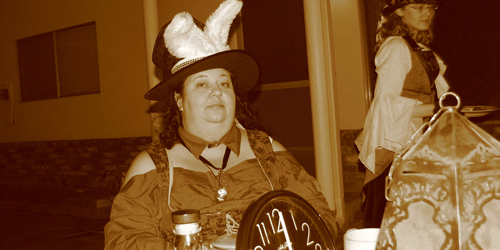 This costume was originally made for a Halloween Steampunk Mad Hatter Tea Party. 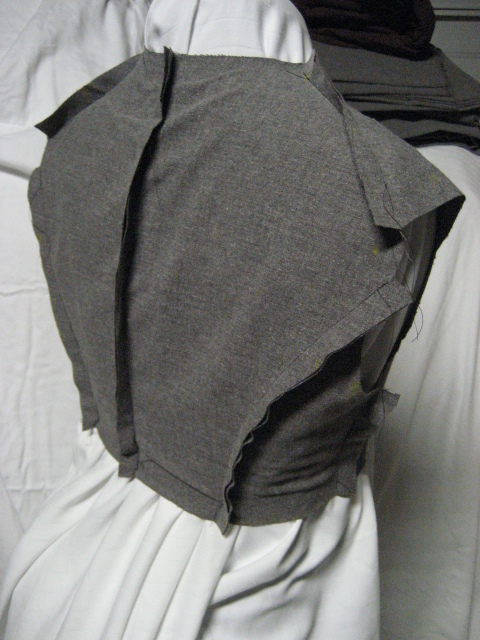 The tailed vest is is a Rogues of Thread original design, made from a flat-folds find and is terribly synthetic and hot. It’s red and gold striped, lined and collared in black satin. This was my first attempt at a Mad Hatter’s hat. While visually successful, it wasn’t the most comfortable thing in the world. Considering that it was more prop than head wear, I’d still consider it a success. 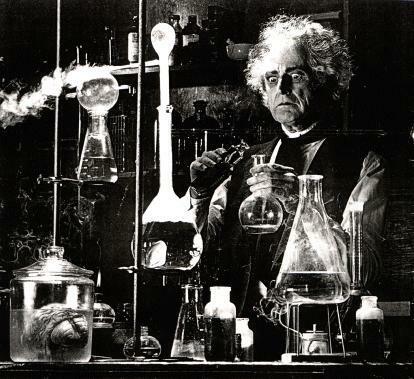 I’ve learned much about hat making since then. This hat will need to be recreated at some point in a wearable style. The rest of the costume is mostly made up of secondhand store finds: cotton velvet skirt, a silk blouse, red stockings and Swiss Army WWII goggles.